Which Home Video Release of "TITANIC" is your favourite? Hi guys, I'm going to make another comparison with this film to another real-life film by Disney, Pocahontas. Are you ready? Okay, aside from My Heart Will Go On, here are a number of songs from other movies or sung by other singers that may suit this young couple! I have always love this song, and the lyrics fits both Jack and Rose. In fact, this is the better choice as the theme song for the film itself. Hi everybody, since this article is about my personal choice for the funeral music on the Titanic, especially on those whose life has been perish, are you ready? Although the title sounds hippy, the music is very sad and it is especially good for a funeral. Noah reminds me a lot of Jack, because he comes from a poor family and falls head over heels with Allie on the first day that they met. Okay, so I've been reading stories on Fanfiction.net and some of the stories have alternating POV, from Jack to Rose, so I'm going to re-edit my first story using alternating POVs, so please tell me what you think and if you guys ?like it, I'll re-edit my other stories like this. And if you see this ~, it means that it's the beginning of a flashback, thanks, and hope you enjoy:) and I am working in the Tommy and Fabrizio story, but I have writers block at the moment so I thought I would do this instead. a poll was added: What do you think Rose is doing at the end? 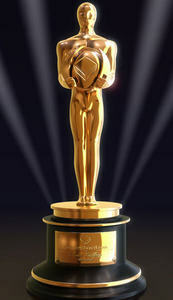 Trivia: Most Oscar-nominated film not to win in any acting categories. How many nominations? Who's YOUR favorite Titanic character?